Burlington Big Truck Bucket Seat Cover has a clean and simple cut pattern made from comfortable faux leather that emulates high end look of burl wood. Clean and simple cut pattern made from comfortable faux leather. Universal bucket seat cover for your truck, SUV, van. Kraco Burlington Big Truck Universal Bucket Seat Cover Pr. 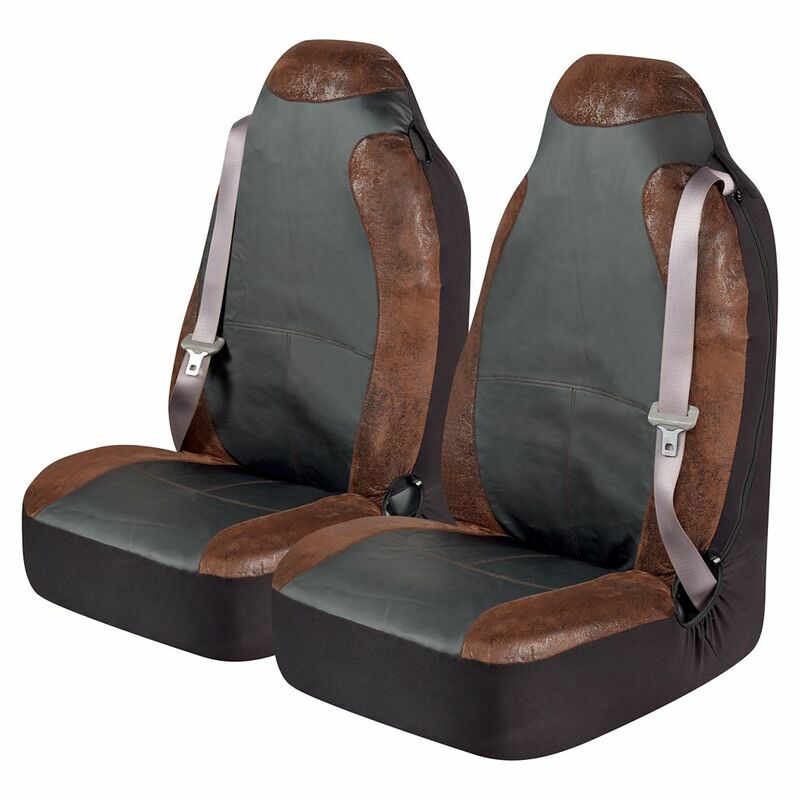 - BRN Burlington Big Truck Bucket Seat Cover has a clean and simple cut pattern made from comfortable faux leather that emulates high end look of burl wood.